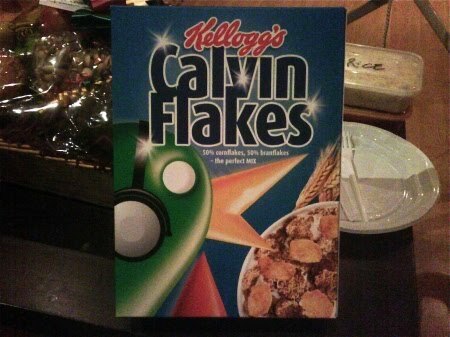 Last week Calvin Harris tweeted about a gift that arrived for him from Kellogg’s. Basically Harris had been doing a lot of tweeting recently about his breakfast preferences, about his choice of cereal. Picking up on this, Kellogg's sent Harris his very own breakfast cereal with the strapline ‘50% cornflakes, 50% branflakes – the perfect mix’. This is superb marketing. Simple, low cost, and yet highly, highly effective. Instant Brand Ambassador!